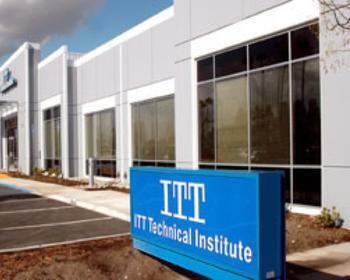 Back in September, ITT Technical Institute shut down all 130 of its campuses after the U.S. Department of Education barred it from enrolling new students using federal financial aid. The company initially blamed the closing on the Education Department, saying that the agency showed a “complete disregard” for its right to due process. As the story unfolded, the Consumer Financial Protection Bureau (CFPB) announced that some students would be eligible to discharge their loans if they were enrolled within 120 after ITT closed. While this certainly came as a big relief to some, thousands of other students who weren’t eligible were left with little to show for the money they shelled out for an education. However, a group of former ITT students are seeking to change that. They have filed a class action lawsuit against ITT Education Services claiming consumer protection violations and breach of contract, according to Consumerist. If successful, the suit would provide an undisclosed amount of compensation to anyone who attended ITT Tech over the past 10 years and stop collection efforts for private student loans issued by the company. The class action brings students in line with a host of creditors, federal regulators, former employees, and state attorneys general who have also laid claim to ITT Educational Services’ assets. The suit, which features 521 student testimonials, alleges that misleading recruitment tactics led many to enroll in the first place, and that this student body should be represented in bankruptcy proceedings. One student recalls an interview with a recruiter in which charts were used to show how much money could be made in their future career. The recruiter boasted of the school’s placement capabilities after graduation, but the pitch was just meant to entice the student into enrolling. “When I first met with the recruiter from ITT he presented me with charts with pay scales of what was stated as starting salaries for entry-level construction managers starting at $80,000 a year. . . He prided the school on job placement assistance. Stating that roughly 80% of graduates were placed into a position within their major 30-60 days after graduating. The recruiter made it sound like a sure thing and had convinced me that enrolling there was a great investment in my future,” the student said. Other students were blindsided by the financial aid they received from the company, and still more claim that ITT illegally forged documents. “[ITT] forged my signature on private loans that I’m just learning about with Peaks Private loans. I never received any documentation about the loans that was taken out, nor [was] anything explained to me about the loans,” said one student. The suit states that ITT’s revenue came almost entirely from students’ tuition, with more than $7.3 billion going to the school in federal and private student loans. "There are a lot of people making claims on the estate, and it's really important to get students' experiences out there and that they're creditors of ITT as well," said Eileen Connor, who provides counsel for the students. “Unlike ITT’s obligations, students debts cannot be discharged easily in bankruptcy. ITT students are the true creditors of ITT. They seek recognition as creditors in this bankruptcy, a fair apportionment of the remaining estate, and an adjudication of their claims that will clear the pat to loan cancellation in collateral proceedings,” the suit says. Are you an ITT student stuck with student loans?